to print from decorative to plain. The plain ones are fairly ink conservative. The date box calendar will serve well for tracking attendance. Our 15 month school year versions have been moved to our School Items page. 2 month and Quarterly Calendars are now available! Current page text is shown in red. Our Whole Year Calendars No Download Required! sized Calendar with 3 years. BOLD and easier to read. page of 4 calendars wallet sized when cutout & folded. Google Docs that handle html editing. printer to ensure clarity . year in the top right corners. keep our name on them. regular users of this site. on over the last two decades. sized when cutout & folded. years, and other schedules that don't begin in January. We have two styles, standard black text, and colored text. to help avoid confusion with a standard calendar. the view menu on later versions of Internet Explorer. Other browsers may require more adjustments. The HTML versions of our items on this page copy and paste very nicely into Google Docs for editing and saving. They print very nicely from the docs applications as well! Definitely a very nice application. We've rearranged this page for easier viewing. All of the calendars are still available with less scrolling. 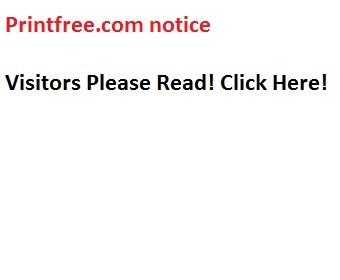 This site is provided free for our visitors to use. Thank you for visiting !